As outlined in my first post’s Mission Statement, this blog is an avenue for sharing my adventures, physical, mental and spiritual. I thought it would be appropriate at this juncture to take a look back, not at the “traditional points of interest” that most travelers sojourn, but rather highlight some of the lesser known destinations that nevertheless left an indelible impression. 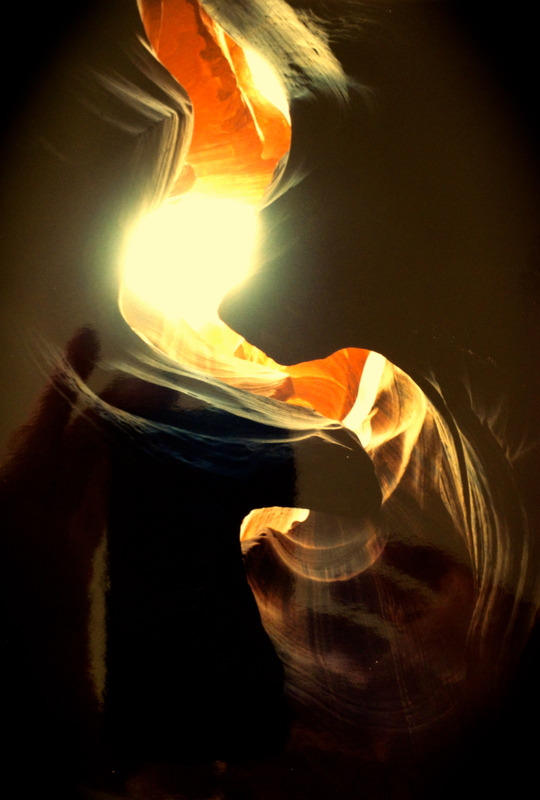 There are so many to choose from so I have decided to make this a recurring theme; here is Part One: Hoodoo You Think You Are? 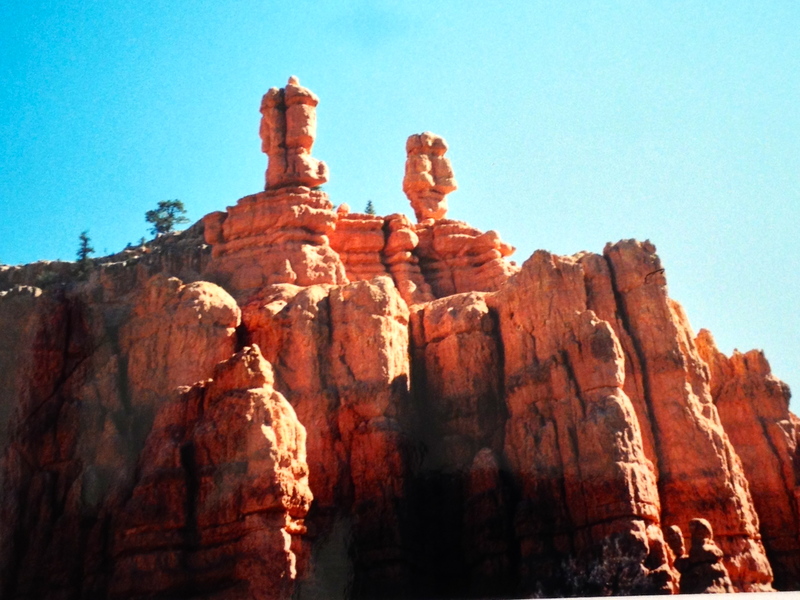 1) Bryce Canyon, Arizona – Hoodoos and Antelope Slot Canyon – My trip to the Canyonlands region of Southwest U.S.A. was particularly unique in that the jaw-dropping sites were NATURALLY created as opposed to man-made. So exquisite were these creations that I often came away with a hushed awe and overwhelming feeling of humbleness in the face of such incredible raw beauty. 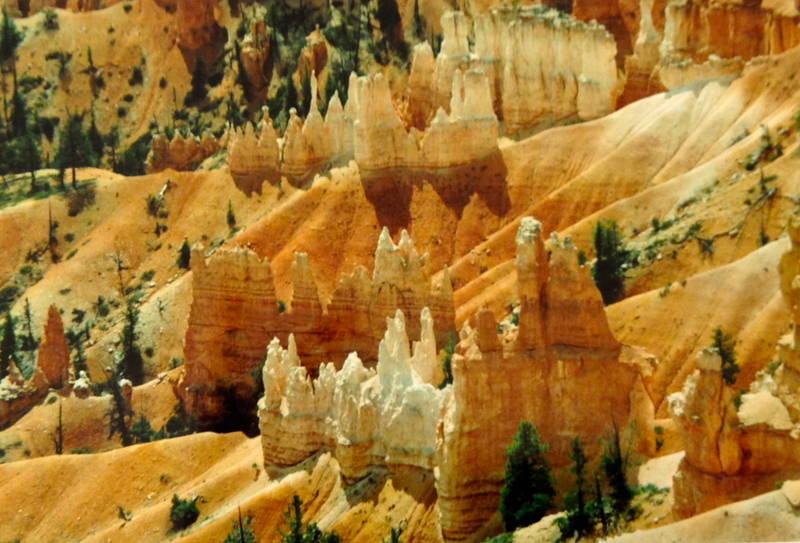 Of course, everyone is aware of the Master of this area – The Grand Canyon (and it was) but I actually was more stunned by the landscapes of Bryce Canyon which are so otherworldly that one can imagine they were built for some intergalactic movie. Conditions at Bryce are perfect for rapid erosion with ice forming overnight and thawing in the morning over 200 times per year. Water seeps into the cracks and then expands when freezing, wedging the cracks wider. Spurs emerge from the cliff face then erode to slender fins and eventually break into separate standing columns. When the top most rock of a column is hard enough, lower levels erode away at a quicker pace creating these spectacular hoodoos. Thousands of hoodoos cram into vast natural amphitheater and far as you can see, providing a view that is uniquely unparalleled. 2) Albertville, France XVI Winter Olympics – In 1992 CBS hosted the XVI Winter Olympics, and this was the last time that the Winter and Summer Games were held in the same year – they now alternate in 2 year cycles. More importantly, these Games reflected the changing political climate in Central and Eastern Europe with a unified German team competing for the first time following the fall of the Berlin Wall (1989) as well as athletes from the former Soviet Republic participating as a single team (United Team -UT) for the last time. Of course being a part of the Olympic Games in any way is incredible- seeing these athletes accomplish nearly impossible feats of speed strength agility and grace in an event dating back to 776 BC Greece is amazing. 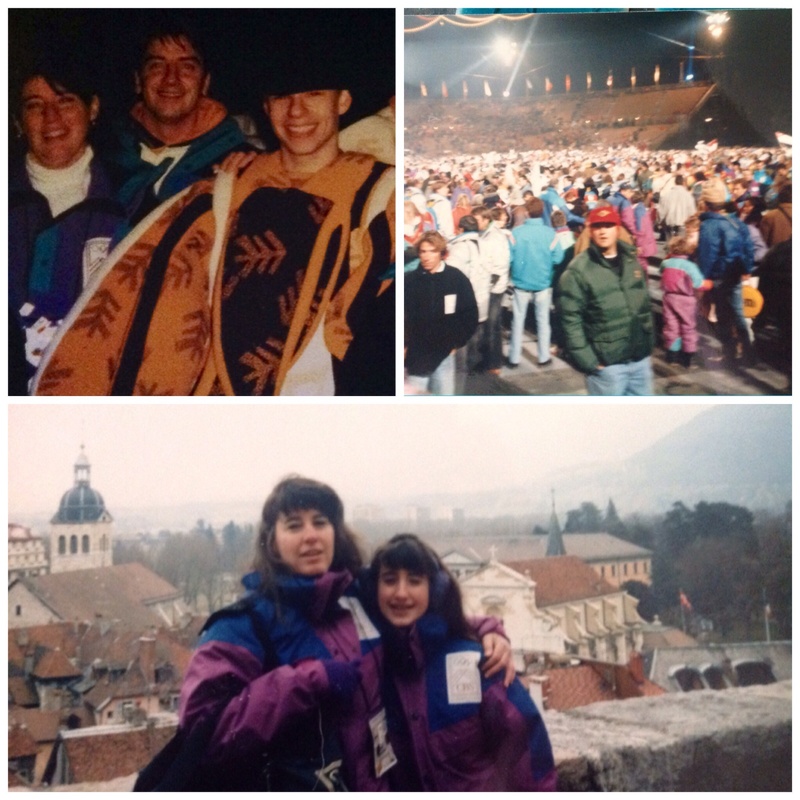 However this particular Games afforded us a once-in-a-lifetime experience. The Alentejo is considered the ” granary” of Portugal as it is primarily agricultural – its landscape ranges from the aforementioned cork trees, to breezy beaches of the Atlantic to the fortress crowned hills of olive groves. 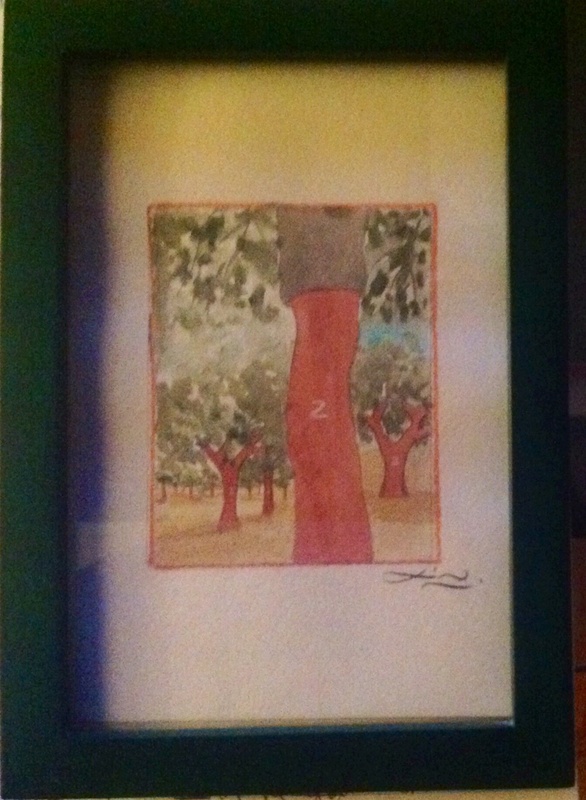 I was therefore unprepared for a visage that was the antithesis of bucolic. 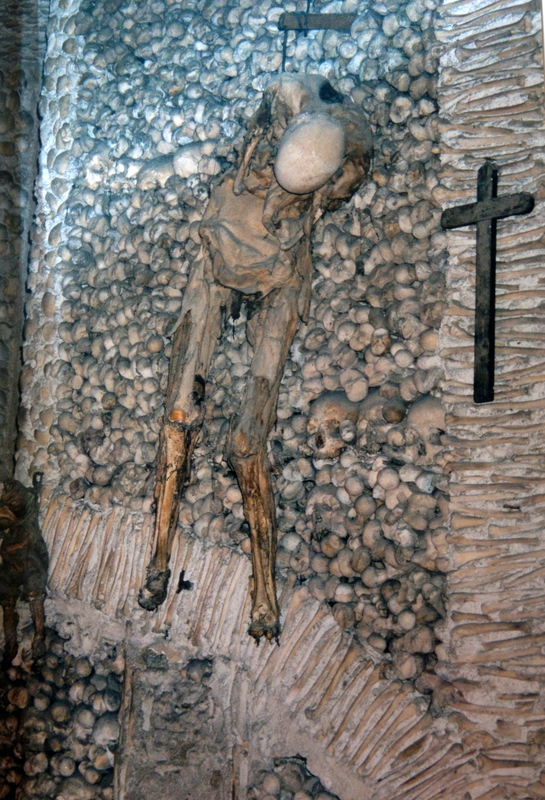 Inside the Igreja (“church”) de Sao Fransisco was a site macabre. We bones who are here are waiting for yours. 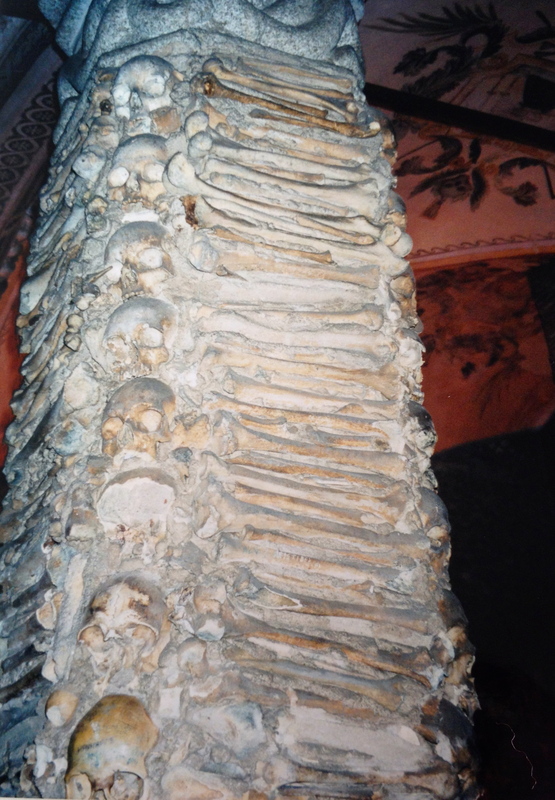 The bones of some 5,000 skeletons dug up from cemeteries of the area line the ceilings and supporting columns. Skulls are placed jaw to cranium so they form arches across the ceiling; arm and leg bones are neatly stacked to shape the supporting columns. 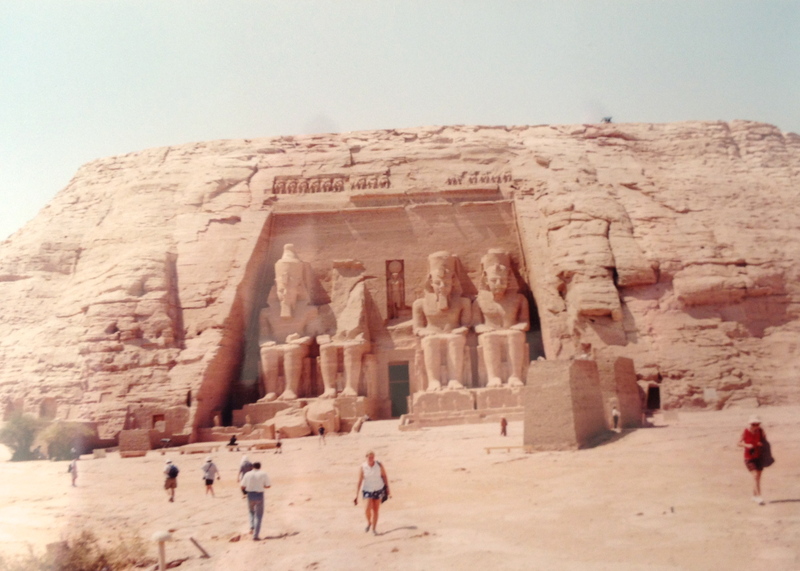 But this post is about lesser known sites and one of the most stunning places I have ever seen is Abu Simbel. Hewn out of a solid cliff from 1298 – 1235 BC the Great Temple of Abu Simbel is breathtaking. It was built to honor the Pharoah Ramses II and was dedicated to the patron deities, Amun, Ptah and Ra. Yes, readers, this Pharoah was the son of Seti I, the second Pharaoh of the XIXth Dynasty and the once friend then antagonist of Moses in “The Ten Commandments” movie. 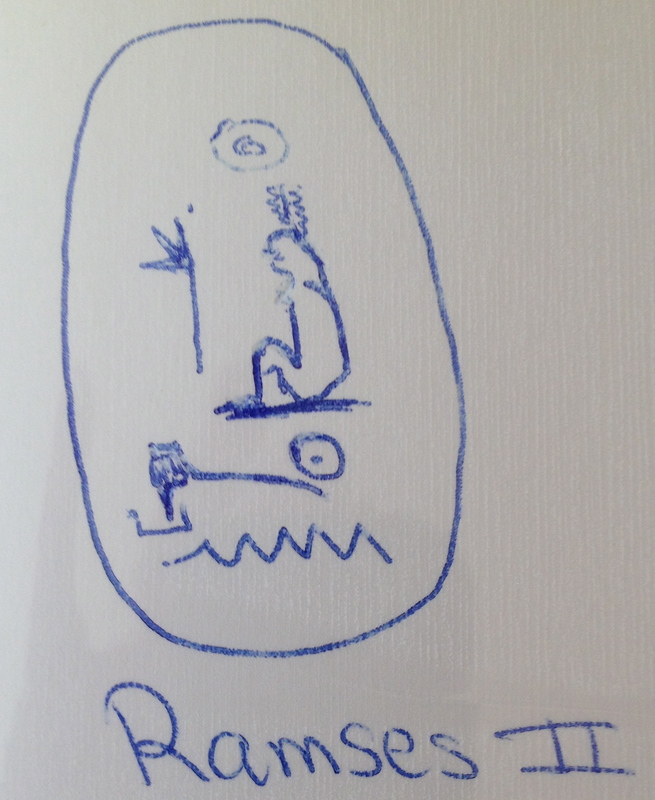 At the innermost sanctum sits three statues – Amun-Ra, Ptah and Ramses II. According to historians, on two days of the year as planned, the sun’s rays reach these once-golden statues – quite a feat considering the building implements of the time. 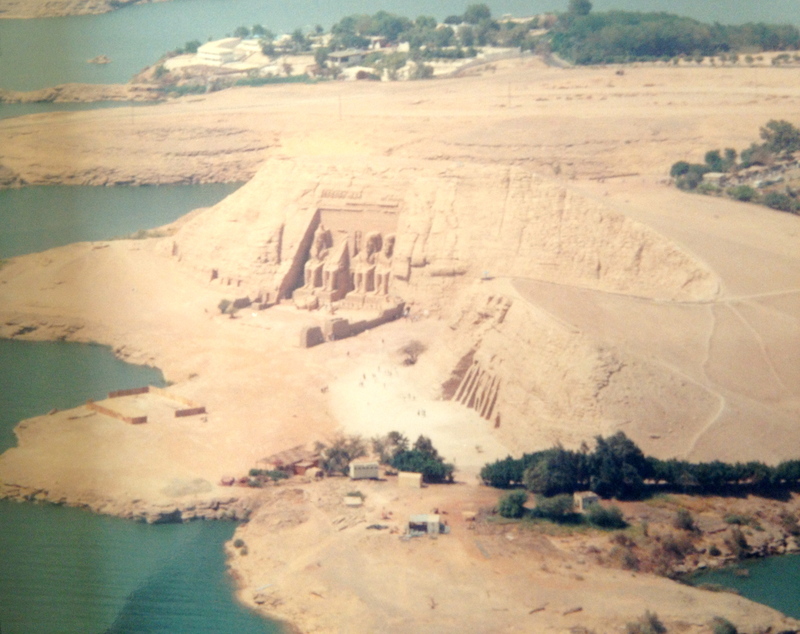 In fact in the 1960’s Lake Nasser threatened to engulf the temple so UNESCO (United Nations Organization For Education and Culture) cut them from the mountain and moved them to an artificial cliff 688 feet back and 213 feet above their original positions. Yet despite the advanced knowledge – they were unable to repeat the feat of the 2 day sun spectacular. The chosen one of Ra. Re has borne him. 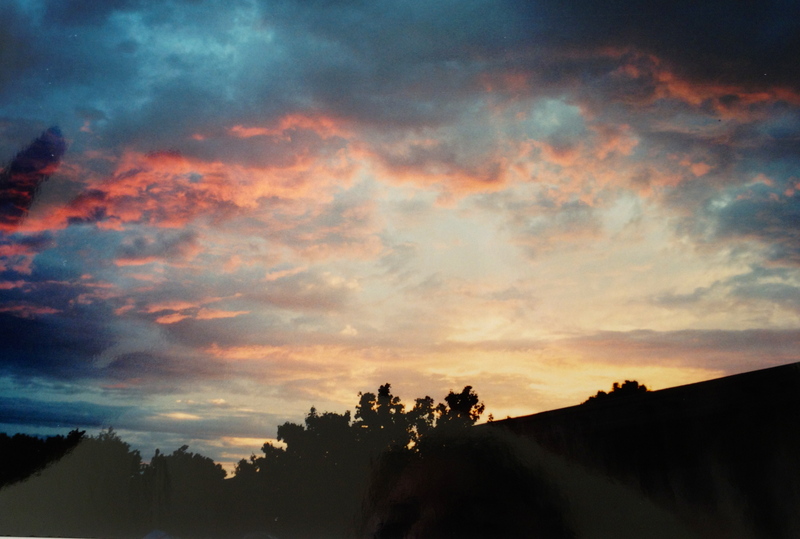 And now, as the sun sets on “PART I of Sites Less Traveled,” I hope I have whet your appetite to read PART II, coming soon. 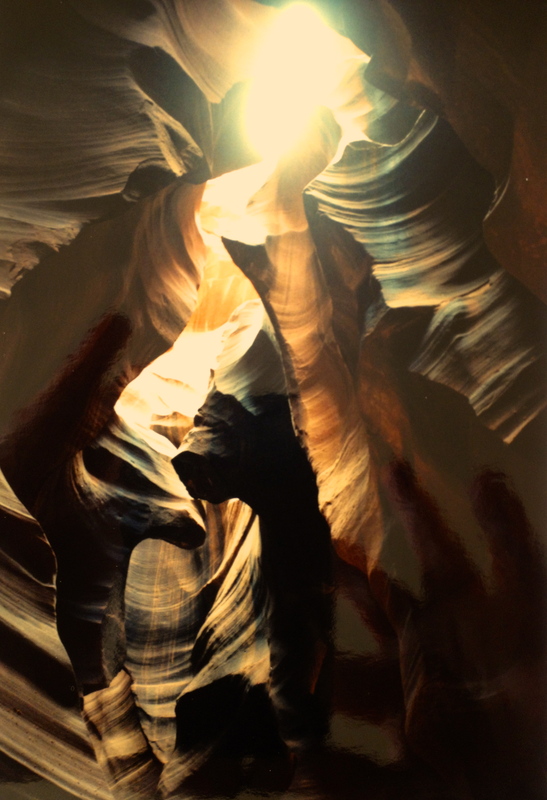 This entry was tagged EGYPT, HOODOO, MURANO, OLYMPICS, PORTUGAL, SLOT CANYON, TRAVEL, UTAH. Bookmark the permalink.